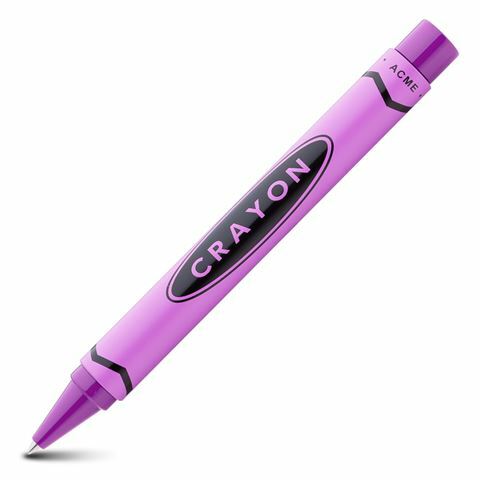 Is it a crayon? Is it a pen? Well, it’s a pen, and a very good one at that! This ingenious rollerball pen has been designed by Adrian Olabuenaga to resemble a classic crayon, and is available in a spectrum of colours just like everybody’s favourite childhood writing instrument. With an all-metal body and simple twist retraction mechanism, it sure looks the part! Designed by Adrian Olabuenaga for Acme Studios, USA. All-metal barrel with classic crayon design. Twist retraction mechanism, to prevent ink from drying out. Presented in an Acme box.